Aalborg is a lively university city located in the north of Jutland in Denmark. With a population of 112,194 residents, it is the fourth largest city in Denmark. Aalborg was the home of Vikings, and the city’s rich history is evident in its preserved medieval architecture, cobbled streets and its renowned Viking burial site. Cheap flights to Aalborg are now available for a limited period of time, so book your flight today and prepare to be enchanted by the historic charm and welcoming atmosphere of this city! Aalborg is home to Aalborg Airport (AAL), located 15 minutes from the city centre by car. Aalborg Airport serves a multitude of airlines including Turkish Airlines, KLM Airlines and Lufthansa. 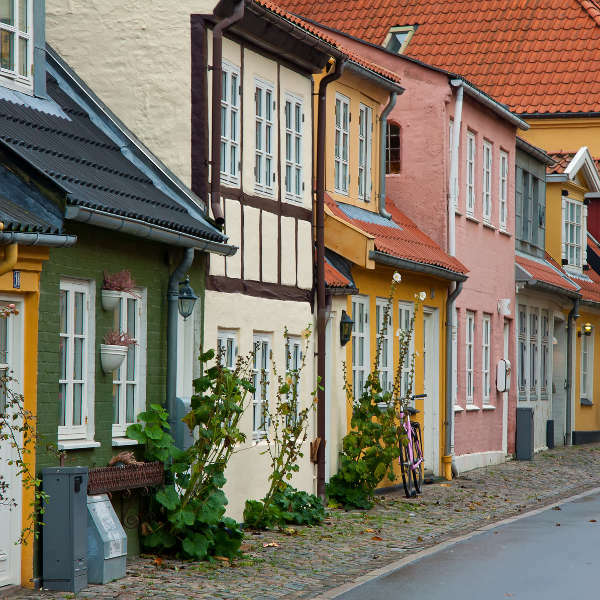 Aalborg’s medieval architecture and quaint cobbled streets will delight lovers of both history and design. Many medieval buildings are actual remnants from the middle ages, which have been carefully preserved and restored. Aalborg is over a thousand years old and its history stretches back to the great age of the Vikings. 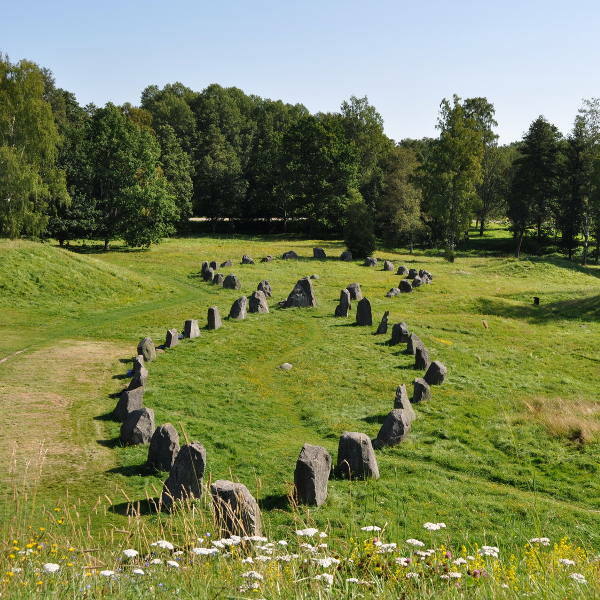 Pay a visit to the local museum and visit the nearby Viking burial site, where you can sample Viking-style brewed beer! Aalborg is a city that comes alive after dark. With a large population of students and young working professionals, the city caters for its locals with a fabulously extensive offering of beer pubs, bars, nightclubs and restaurants. Aalborg experiences moderate, cool temperatures most of the year. The busiest time of the year are the summer months (June to August), when streets are filled with locals and visitors enjoying the sunshine and warm weather. This is peak tourist season, and many local concerts and festivals add an air of festiveness and merriment to the atmosphere. Autumn (September to November) sees the city going into a short hibernation before bursting back to life in December, with evening Christmas markets and festive cheer drawing in December holidaymakers. Spring time (March to May) is the ideal time to visit Aalborg, as winter temperatures start to rise in favour of the warmer weather, and the local flowers start to bloom. Tourist crowds during spring are noticeably smaller than during summer, and visitors can enjoy having the city all to themselves, while taking advantage of the lower spring rates that hotels offer. Tucked away in the very north of Jutland lies the little-known city of Aalborg. Not well- known to visitors outside of Denmark, this quaint old city has, in the past, been overlooked. Recently it has become a popular local spot for tourists to visit thanks to its thriving night life and charming medieval architecture. 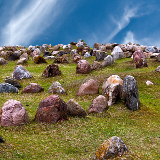 Once the home of Vikings, Aalborg still possess remnants of its past in Lindholm Hoje, Aalborg’s dramatic Viking burial site, where ancient tombstones can still be observed. A walk through the city’s historic centre is an absolute must, and many spirited cafes and restaurants can be found tucked away in little cobbled streets and medieval houses. Aalborg is known in Denmark for having the largest abundance of nightlife in Scandinavia, and a pub crawl along Aalborg’s famous street Jomfru Ane Gade, is a treat. 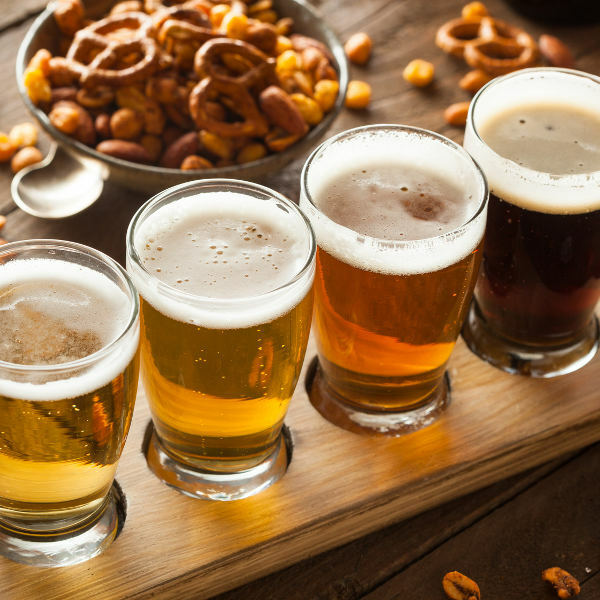 Sample local Danish beers and get a bite to eat before paying a visit to the newly renovated Waterfront, where stunning harbour views, combined with sundowners, are a perfect end to a busy day. 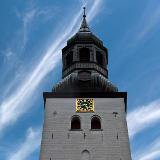 Compare several airlines, and book your cheap flights to Aalborg online at Travelstart. Denmark enjoys an extremely high standard of living and crime across the country is scarce. Incoming tourists can, however, encourage opportunists and pick pockets to try their luck. It is encouraged to keep an eye on valuables and possessions, particularly in busy and crowded areas. Keep a firm hold on your handbag as bag-snatching is a possibility, and avoid keeping wallets and cell phones in backpacks that can be discreetly opened. The city is extremely safe to walk through during the day and at night, but exercise caution if walking the streets after hours. Avoid walking alone and walking down dark or deserted roads. Being primarily a student city, Aalborg is filled to the brim with buzzing, trendy bars, live concerts and shows and drinks specials. Jomfru Ane Gade, Aalborg’s most famous street, is well-known in Denmark for being the longest street of non-stop bars and pubs in Scandinavia! Accommodation here will place you right in the heart of the excitement and hustle and bustle of local nightlife. Restaurants, bars and nightclubs as well as trendy boutique shops make this street the hippest place to stay in Aalborg. 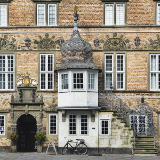 If you are seeking a quieter, more mature atmosphere, seek accommodation in the city centre to be within walking distance to all of Aalborg’s best historical sights, like Aalborg Historical Museum. Alternatively, if you are looking for something a bit more upbeat than the city centre but not quite as rowdy as Jomfru Ane Gade, the trendy local Waterfront offers stylish hotels and luxurious apartments for rent. Guests are within walking distance to upmarket restaurants and bars overlooking the harbour. The best way to enjoy the sights of the city centre is by walking on foot. If you would like to travel a little further around the city, however, Aalborg has an excellent bus system. Buses follow pre-set routes around the city and a ticket starts at about 20 Kr. Bicycle hire is also very popular, and the city has an integrated bike scheme with parking spots for cyclists. You may borrow a bike from any one of the 20 bike stands in the city, and hire it for the day by making a 20 Kr deposit. Once returned safely, you may get your deposit back. Taxis are also available throughout the city, and are safe and convenient to catch, particularly if you out late and do not wish to walk back to your hotel.